As the fall comes to a close, so too does the 2017 AHS Leader Week season. 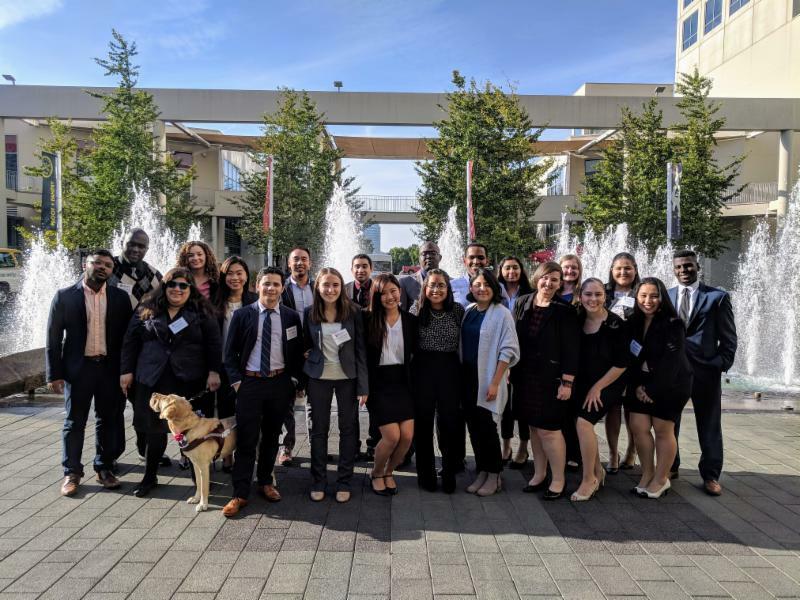 From June to October, 117 Scholars traveled to Seattle, New York, Guatemala, and Dallas, participating in rigorous leadership training focused on instilling practical tools for success in college and the post-college world, and reflecting on how they can influence the world and make positive change. Our final Leader Week of 2017 took place October 18-22 during the third annual Texas Leader Weekend in Dallas, where Scholars prepared for the workplace through career exploration, networking, and developing their professional skill-set. This experience will help Scholars build their careers and be leaders in their own communities, and it would not have been possible without the welcoming generosity of the Dallas community and local residents such as Ron Chapman, Jr. and Rita Garcia-Ransdell. Thank you to everyone who came out for Thursday night’s networking and fundraising event, Connect to Opportunity, and establishing connections with Scholars as talented, service-minded future leaders. Dallas businesses and non-profits opened their doors to host site visits for Scholars on Friday, where they gained an in-depth view of an organization’s culture, learned about job and internship opportunities, and connected with staff or HR personnel through informational interviews and resume reviews. Thank you to AHS Board Member, Arthur Hollingsworth from LoneStar Investment Advisors , Steve Shore from Bank of America , Alan Kajihara from Peterbilt Motors Company , and Joel Rothermel from CNM Connect for your hard work in organizing these visits and giving Scholars this incredible opportunity. As one Scholar said, “I am confident leaving Texas with refined skills in making professional connections, largely due to engaging in mock interviews with employers. The professional experts were understanding of my needs and met me at an even level when providing me feedback and resources I can research when I return home.” Another Scholar reflected, “This weekend was incredible. The AHS program consistently reminds me of my ‘why.’ I used to get so burnt out because I was so focused on the day-to-day craziness of life, but now even though I am stressed, there is a sense of peace because I know my actions matter and are for the benefit of others as well as myself.” Read more about Scholars’ experience in Dallas in this week’s Hammie News Day , featuring Vincent Garcia (2012). Be sure and save the date for next year’s event, October 11-14 , where we look forward to continuing and strengthening our partnerships with those in the Dallas community.